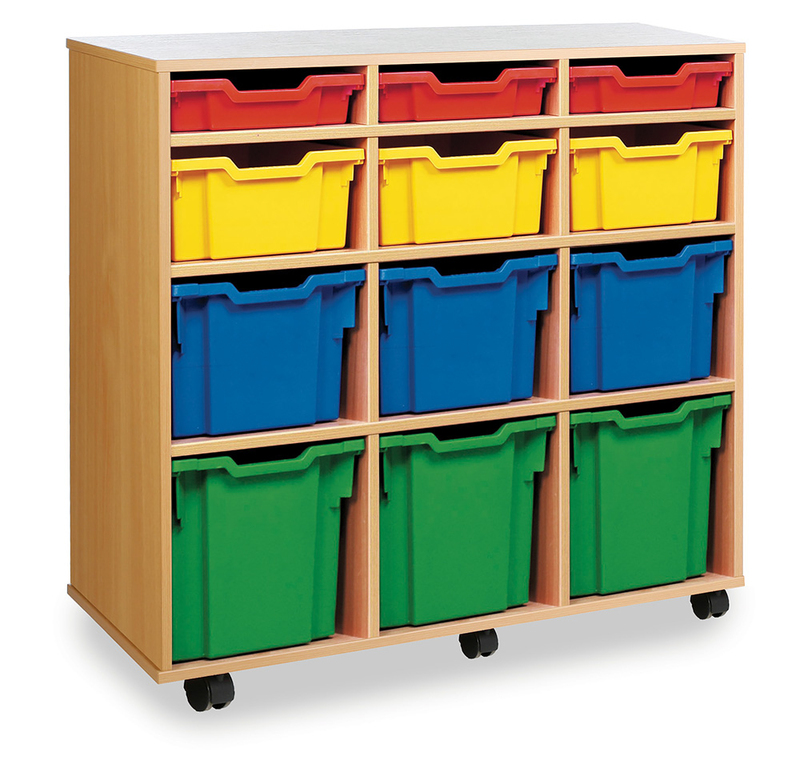 The Variety tray school storage unit comes with either 8, 12 or 16 school trays in mixed sizes - shallow, deep, extra deep and jumbo trays. 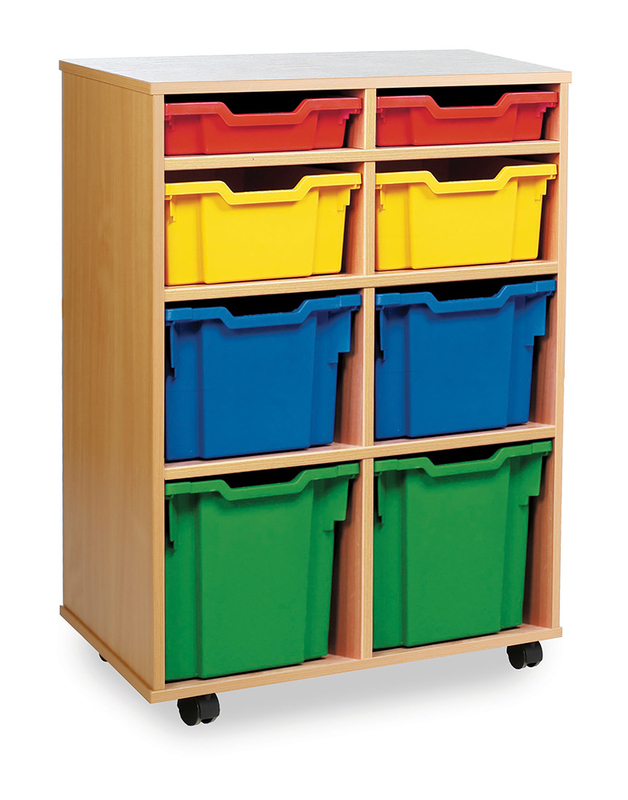 The 12 tray unit can be either a vertical or horizontal configuration to suit space requirements. 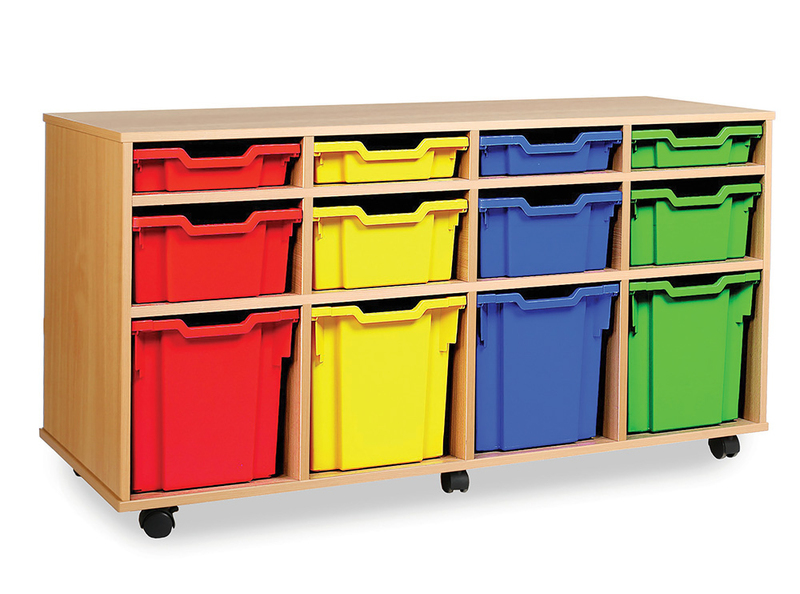 The variety school trays offer great flexibility as they allow for a mixture of storage space to include smaller items such as paper to larger items such as toys. Constructed from 18mm durable MFC with protective PVC edging. Supplied in a modern beech finish with easy glide castor feet. 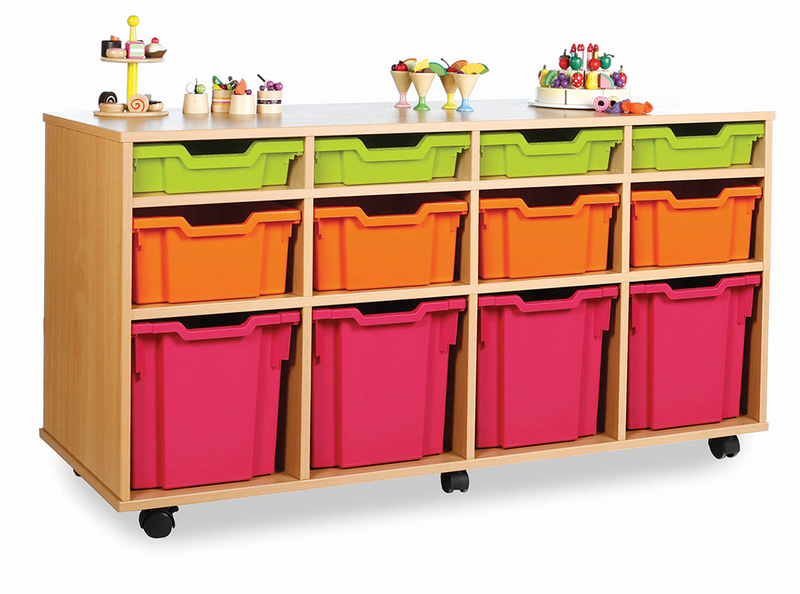 There are 16 bright tray colours to choose from.